WARNING: Unplug (or cut off) the mains power plug before opening a hair dryer! Screwdriver tip needed to unscrew special hair dryer screws. I haven't found any local shops that sell this item so I went to a second hand tool shop and bought a thin (about 1mm wide) file and a cheap screwdriver (about 7mm wide tip) for a total of $5. If you're lucky you may already have one or both of these items. 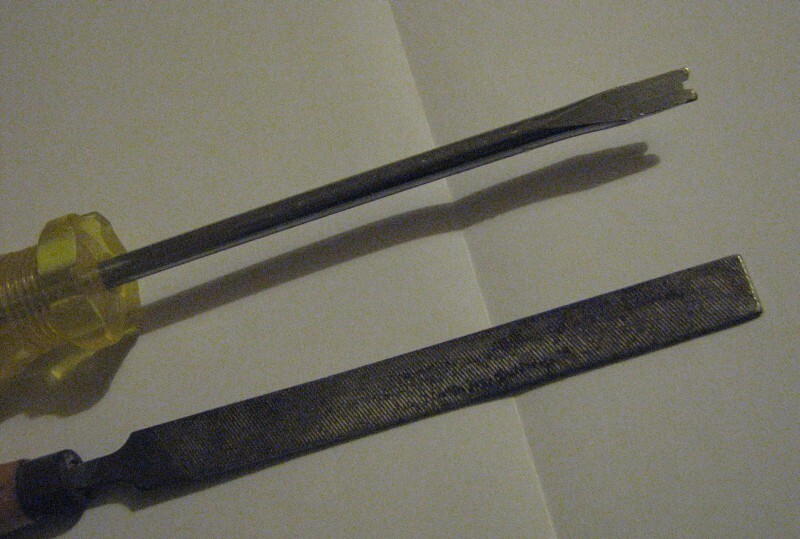 Screwdriver and the file I used to create a slotted/notched tip. Then I just filed a slot in the middle of the tip of the screw driver to achieve the desired effect. 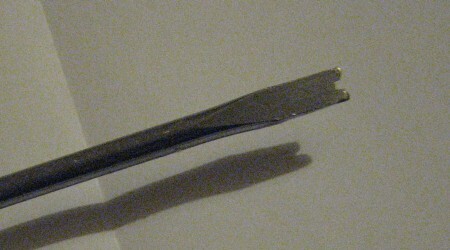 I just guessed the middle of the tip and started a slot by running an edge of the file back and forward. Once started it only took 2 minutes to complete.